The Bitcoin has been gaining a lot of mainstream ground in the past years time, with many big companies embracing the cryptocurrency, as well as Bitcoin ATM’s popping up all over the world in large numbers. The Bitcoin has always been a commodity that you would have to buy or mine to obtain, which has led to a decent amount of price swings in the past. While regular trading can be good and bad, it can be really good when it’s done by professionals trading large quantities at a time. With large trading amounts, there’s a bigger need for Bitcoins to actually trade, which again in an ideal scenario will boost the Bitcoin value over time and make it more attractive for the mainstream public once again, as well as more companies. Up until now there hasn’t been a lot of places where you could margin trade the Bitcoin against a fiat-currency, but there is now. The San Fransisco-based Bitcoin exchange company Kraken announced earlier this week that they have launched Bitcoin margin trading against the Euro. Kraken is one of the leading Bitcoin exchange sites in the world, having massive volumes of Bitcoin trades done on a daily basis and they are even helping out in the Mt. Gox case. Margin trading is basically where you place money on the value of the currency going up or down and you then sell your trade when you feel like it has hit the highest it can or when you have lost too much value on it. It is very much like Forex trading, except from that you will be trading a virtual currency against a fiat-currency instead of a fiat-currency against a fiat-currency. 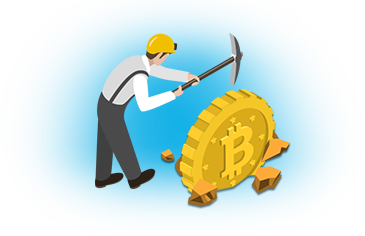 With the swings that the Bitcoin encounters in value, it may just become the go-to currency for forex traders, as it is very good for making money. To make things more like forex, Kraken has enabled the possibility for users to get leverage. Leverage is basically the option to trade with more money than you actually have, making your profits larger or in the worst case, losing your money faster. Initially Kraken will offer customers the option to trade with 3x leverage, which means that if you gain 4%, you actually gained 12% and vice versa for losing. Within a short period of time, Kraken will even offer up to 20x leverage for those who wants it, making it possible to make 20x as much more as you otherwise would have done. Margin trading will not be available to everyone from the start, as they have strict requirements in terms of verification to be able to do margin trading. It is quite simple to get enabled however, as you simply have to send in some personal documents if you wish to trade BTC/EUR on the market. Kraken will not be charging any additional fees towards any margin trading done in their platform, charging only their standard Bitcoin exchange fee, which averages at around 0.10%. Positions open for more than 24 hours will be subject to an additional 0.05% fee however.